Newport Veterinary Hospital is proud to serve the Newport OR area for everything pet related. 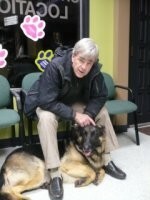 Our veterinary clinic and animal hospital is run by Dr. Ken Genova, who is a licensed, experienced Newport veterinarian. Our team is committed to educating our clients in how to keep your pets healthy year round, with good nutrition and exercise. 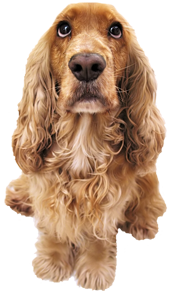 Newport Veterinary Hospital stays on top of the latest advances in veterinarian technology and above all, remembers that all animals and pets need to be treated with loving care in every check-up, procedure, or surgery. As the owner of Newport Veterinary Hospital, I am excited to meet you and your pets and to let you know what you can look forward to. I have had the good fortune to be an active, practicing veterinarian for the past 43 years. In those years, I have been an emergency care specialist, a general practitioner, an educator at the Michigan State University Veterinary Medical Teaching Hospital. and a consultant in special care to a 170-veterinary hospital group. Those experiences have allowed me to participate in many new advances in pet care and prevention. The staff and I will be adding these advances to your pet's health care so that they can lead a long, healthy, pain-free, fun-filled life. Dr. Parker graduated from Boise State University with a biology major and moved to Oregon to attend Oregon State University, where she graduated as a DVM in 2012. 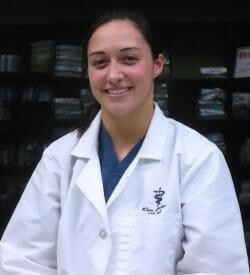 She since has begun her career with Newport Veterinary Hospital. Dr. Parker has affiliations with the American Veterinary Medical Association (AVMA) and the American Association for Feline Practioners (AAFP). Dr. Parker enjoys coaching and playing soccer, as well as biking and hiking. She owns two cats, Kolu and Toxie. Jamie is a home grown Coastal Oregonian living her entire life in Lincoln County. She loves spending time with her husband, son and their two dogs just relaxing on the beautiful Oregon Coast. 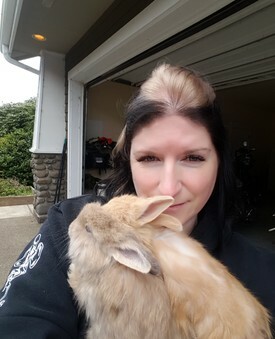 She has many hobbies in fact too many to name but her passion is helping the animals of her clients. She has been working in Lincoln County as a Certified Veterinary Technician for the past 19 years. She looks forward to meeting you and the rest of your furry family.